Home News And Events Captain Underpants is coming to movie theaters everywhere! Captain Underpants is coming to movie theaters everywhere! Tra-la-laa! We are happy to announce that in June 2017, the long-awaited Captain Underpants movie will be released. Produced by Dreamworks, it will feature the talents of Kevin Hart, Thomas Middleditch, and Ed Helms. The popular series of books by Dav Pilkey debuted in 1997 and has over 70 million copies in print in over 25 languages. With so many fans already, we know that the movie will have the entire planet laughing! "She was not a very pleasant person. But she was talking about something, and she happened to say the word underwear. And we all burst out laughing. And she got really, really mad. And she said, hey, boys and girls, underwear is not funny. And we all just laughed even harder. And so that's where I got the idea from." Millions of people already know how funny these books are and that they are perfect for capturing the attention of Young readers who love comedy. 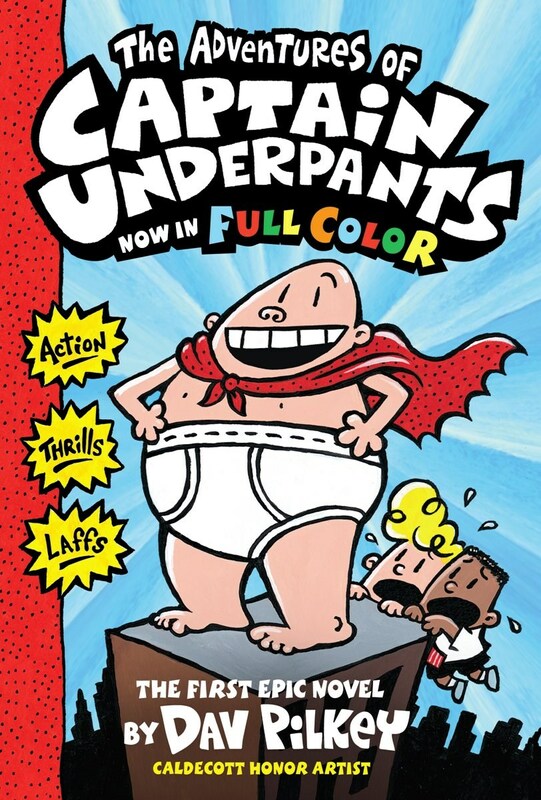 We’re happy that now the entire world will discover the magic of our beloved Captain Underpants!